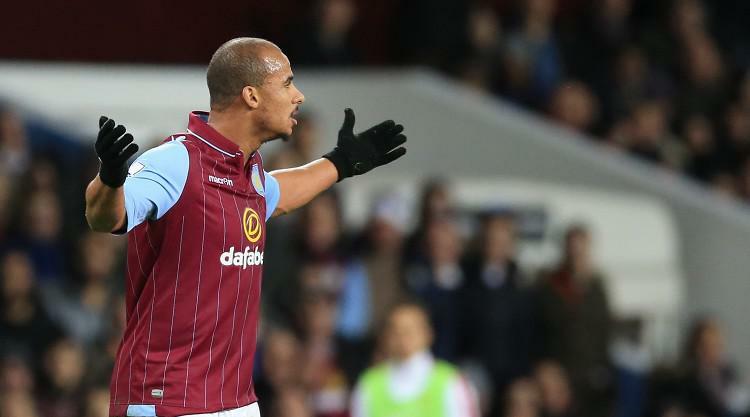 Aston Villa have appealed Gabby Agbonlahor's red card against Manchester United. Manager Paul Lambert admitted after the 1-1 draw on Saturday the club were likely to contest the decision and an official appeal has now been lodged. The club are likely to receive the outcome on Tuesday ahead of their Barclays Premier League Boxing Day trip to Swansea. Agbonlahor was sent off after a 50-50 challenge with Ashley Young during the second half of Villa's draw with United. Referee Lee Mason dismissed the forward, who became Villa's second player to see red in two games after Kieran Richardson's sending off in their 1-0 defeat at West Brom last week. Lambert questioned the decision after the game and said Young admitted he thought he had fouled Agbonlahor. "There was nothing, you may as well pack up if you're going to take tackling out of the game. The two have gone in without any malice or studs showing, that's not a red card," he said. "The two have gone in fairly but the lad (Young) himself admitted he thought he fouled Gabby." ""From where I was standing it's not a red card."